The semiannual woodworking magazine for the discerning, fine woodworking enthusiast. Digital magazine, also available in print. There is a small amount of curated advertising in the magazine consisting of products or services that fit with the mission of magazine. Published twice a year, WOODSKILLS magazine issues consist primarily of content. This issue features the following furniture makers: Darrell Peart (Seattle), Craig Thibodeau (San Diego), Jan Lennon (UK) and Brian Greene (Canada). Articles on the following subjects included in this issue. 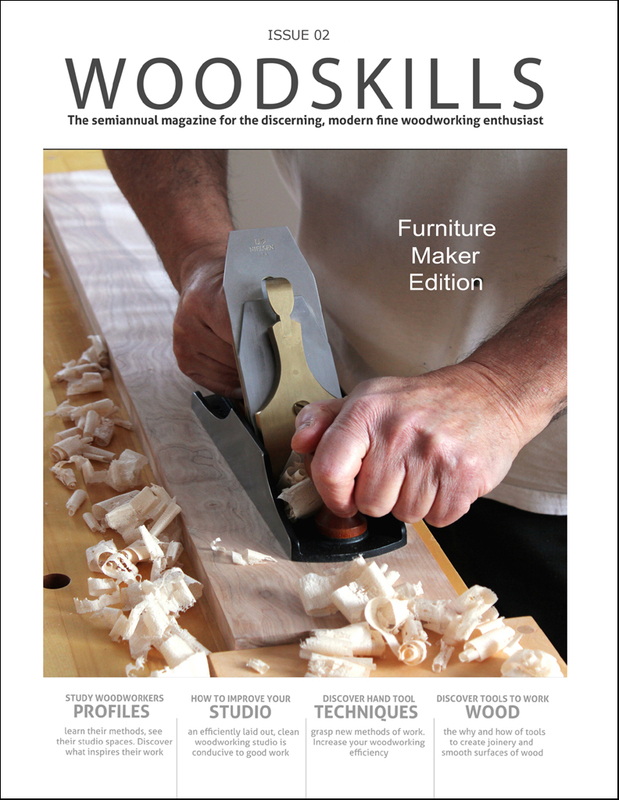 For a limited time, receive WOODSKILLS Issue 01 & 02 (digital) $16 value with purchase of a class or course. This entry was posted in Books, Courses, Magazines by Norman Pirollo. Bookmark the permalink.